What's a World Heritage Site? It's a UNESCO (United Nations Education, Scientific, and Cultural Organization) award that designates places of extremely significant natural and/or cultural value. There are over 1,000+ World Heritage Sites across the globe, and Japan is home to 19 of them (as of May 2016). However, as impressive and enjoyable most World Heritage Sites (WHS) are to visit, some are worth more the experience and time. Today we look at a list of the Best 13 Japanese World Heritage Sites. Located in northern Japan, between Aomori & Akita prefectures, Shirakami-sanchi is a vast wilderness of ancient beech forests that climb and descend the mountains and deep valleys. With many secret places untouched by man, it's full of natural beauty. A scenic hike on the eastern side leads to Anmon Falls (picture above), a trio of waterfalls where the next waterfall is even higher and more breathtaking than the last. It makes for new discoveries with every step. Juniko or the Twelve Lakes are a family of small ponds and lakes connected by winding hiking trails. The most impressive of the 12 siblings would be Aoike Pond known for its unearthly blue water. Summer. Especially if combined with one of the Three Great Tohoku Summer Festivals (preferably Aomori Nebuta or Akita Kanto Festival). Autumn is also nice for the colors. Of the Three Famous Castles in Japan, Himeji Castle is the fairest of them all. Pristine white walls. Complex layouts. Massive buildings with layered roofs. It's feudal Japanese architecture at its finest. Unlike many of Japan's ancient monuments and landmarks, this castle has never been afflicted by war, earthquakes, or fire. It's majestic and true to form as it was hundreds of years ago. A leisurely visit inside the castle grounds can take up to half a day or more. Stepping inside and being surrounded by the smell and sound of wood transports you back to simpler times. Spring during the cherry blossom seasons, although it's sure to be crowded. Small, compact, and intimate, Shirakawa-go & Gokayama are small traditional villages that charm all the senses. Each home (or farmhouse) is built in a style called gasshou-zukuri, easily identifiable by the straw-thatched roofs. Located in Gifu prefecture, it's also close to the city of Takayama which is very foreigner-friendly & chic. Gero Onsen, a very famous hot spring in Japan, is also worth the detour. And try Hida Beef while you have a chance. Definitely a Top 5 Beef in Japan. Winter. Snow is falling. And nothing beats warming yourself up with hot tea sitting near an old Japanese fireplace. In my opinion, almost everything in Hokkaido should be a world heritage site. Even the majestic Rishiri & Rebun can stand toe-to-toe with any place on this list despite not being a world heritage site. Shiretoko is special, because of its isolated location, being a peninsula in northeast Hokkaido. It features a great balance of greens (foliage), blues (skies and ocean), and whites (clouds and morning fog). A sightseeing boat ride along the coast reveals an active brown bear and deer population. The Shiretoko-Goko (Five Lakes) are an accessible & graceful one-hour walk. Nearby Oshinkoshin Waterfall is worth a look. And nearby towns Utoro and Rausu provide quiet sea town life and delicious seafood. Late summer/early autumn. Still green with cooler temperatures. Consisting of 30 scattered islands and a 25-hour ferry or boat ride south of Tokyo, the Ogasawara Islands (also known as Bonin Islands) have been a home-away-from-home vacation for many Tokyoites & Greater Tokyo area. Subtropical, warm, and remote, the islands are famous for beaches & water activities such as diving, whale-watching, and kayaking. Water-eroded cliffs & mountain activities make for good hiking and trekking. And of course, all around relaxation from the hustle and bustle of city life never hurts. Of the 30 islands, only Hahajima (Mother Island) and Chichijima (Father Island) are inhabited. 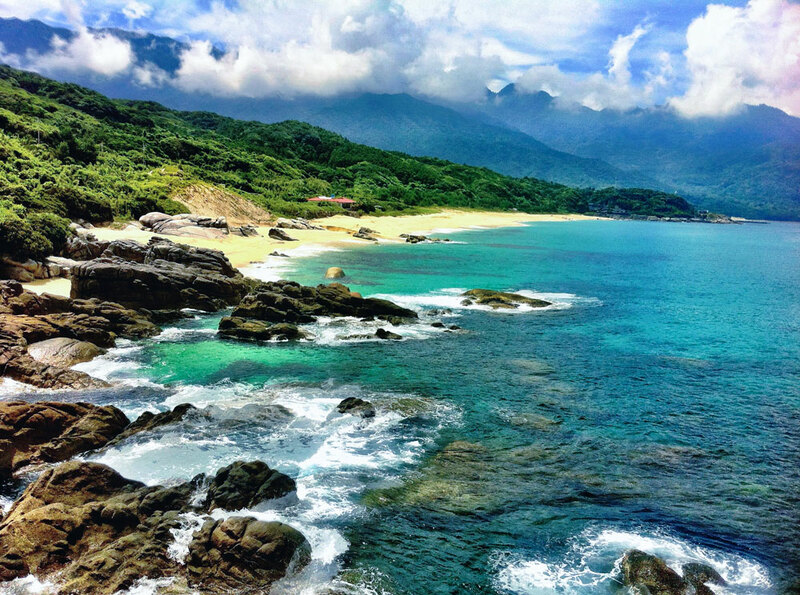 Minamijima Island near Chichijima and Mount Chibusa in Hahajima offer photo-worthy views. Any time. But plan around the long Japanese holidays (Golden Week, Spring Break, Silver Week) if you want to avoid the crowds. 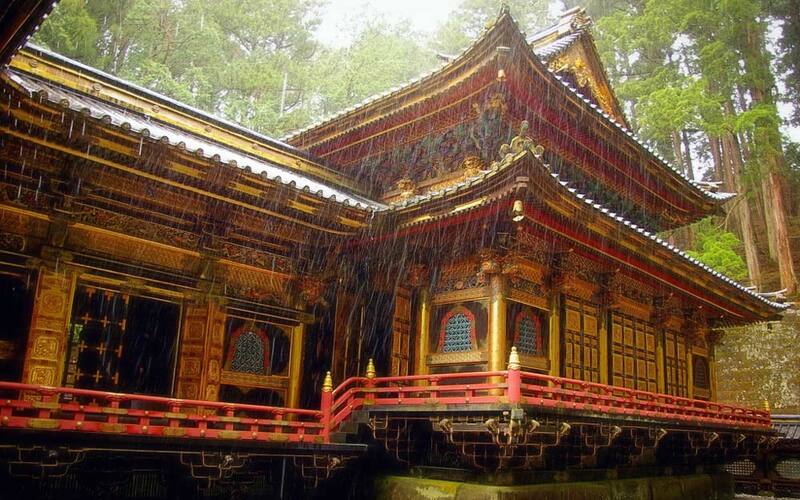 The shrines & temples of Nikko are sacred and regal. Built as a mausoleum for Tokugawa Ieyasu, the first shogun of Japan and the man who united most of the warring country, there's an ethereal presence here. Whether in the trees, the temple decoration, or weather, the sense of wonder lingers with each step. Toshogu Shrine is the most important place to visit. It contains many elaborate carvings such as the Three Wise Monkeys (Hear no evil. Speak no evil. See no evil.). Ryuzu Waterfall and Kegon Waterfall offer great views especially in the autumn when koyo season (changing of the leaves) is at its peak. Autumn. The vibrant autumn leaves along with the cooler temperature brings out a nostalgic feeling in the air. Although late winter offers a more secluded and intimate experience. Itsukushima, also known as Miyajima, is an island known for its famous torii that seemingly floats on the water. However, during low tides, many are able to walk up to the gate and see it up close and personal. Inside the island are charming shrines and temples that celebrate Shinto and Buddhism. And various walking trails take you in a secret journey around the island. Deer and monkeys roam the island and walking paths freely. Quaint gift and food shops provide pleasant experiences. Definitely try the fresh grilled oyster if you're a seafood lover. And because you're so close to Hiroshima, okonomiyaki (Japanese savory pancake) is a definite must if you're staying in the city. Getting to the top of Mount Misen provides a good lookout point of Hiroshima Bay. Spring for cherry blossoms or autumn for the leaf peeping. Both warrant a visit each. There's a strange feeling when in the presence of Genbaku Dome (or A-Bomb Dome) in Hiroshima Peace Park. It's the only structure to have survived the atomic bomb in 1945, and has been preserved to show what it looked like the day after the blast. It's somewhat ghostly, surrounded by the tranquility and beauty of trees and rivers. Like a scar that never heals, it teaches us what came before and what should never happen again. The remnants of war & destruction now represents the hope for everlasting peace. Wakayama is Japan's best-kept secret. It's the other Japan when you need a break from the metro life of an Osaka or Tokyo and even an escape from the crowds at Kyoto or Nara. There's a little bit of everything in Wakayama. 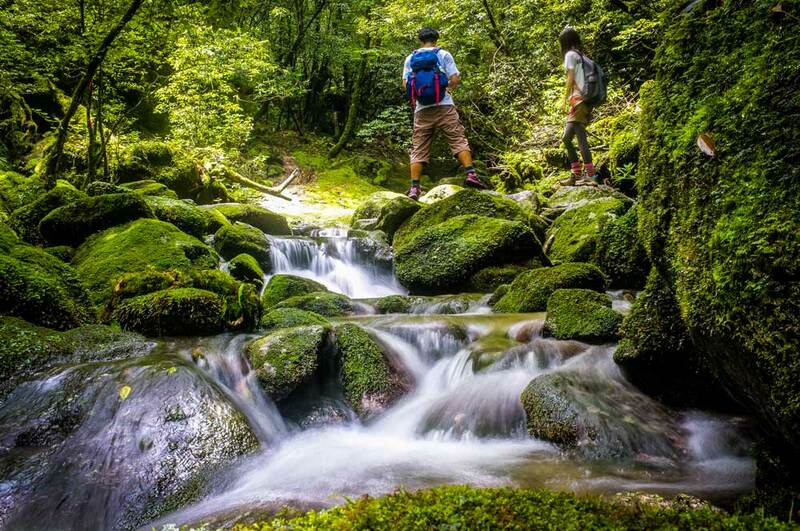 The religious nature trails (known as Kumano Kodo) features lush greens, tall trees, and fresh air. From a giant torii (Hongu Taisha) to a grand shrine (Hayatama Taisha) to a view of a wondrous pagoda & waterfall (Nachi Taisha), you'll be full of bewilderment. Koyasan (Mount Koya) is a must-do for the spiritual seeker. A walk among the hundreds of temples, giant cedar trees, and ancient gravestones & statues is quite the out-of-this-world feeling. Of all the holy man sites in Japan, Koyasan carries most reverence. A temple stay (shukubo) is definitely worth the investment to take in the complete experience. Summer. Especially in July for the Nachi Fire Festival. Mt. Fuji has long been the iconic symbol and image of Japan. Respectfully called Fujisan, climbing it offers beautiful skies and views in the summer. But it's extremely chilly and windy at the top, so be prepared. Many prefer to view Mount Fuji from a distance and there are endless viewpoints that provide a different glimpse of the majestic mountain. Fuji Goko (or Fuji Five Lakes) is a great place to view the mountain up close. Especially in autumn at Lake Kawaguchiko do you see the mountain and the autumn maple leaves framed together. Chureito Pagoda is a popular spot when the cherry blossoms are out. Hikers & the fitness nut can brag about the view from Lake Motosuku. If visiting between April to May, the Fuji Shibazakura Festival has a field of various pink moss with Fuji in the backdrop. Very photoworthy if the timing is right. Lake Ashinoko in Hakone also provides the image of Fuji behind a forest and torii in a lake. Summer if you want to climb it or for the greenery. Autumn for the colored leaves and mountain portrait. Nara is full of history. As Japan's first capital, it houses some of the oldest temples in Japan. The countless natural and cultural beauty, the wandering deer, the wooden architecture and designs, it feels like you're strolling through a living treasure. It's the storybook Japan you've always imagined. Todaiji Temple houses one of the biggest Buddha statues in the country and is the centerpiece of the visit. Isuien Garden provides a secret and quiet respite from noise. Kasuga Taisha has enough ancient bronze and stone lanterns for the cultural photographer and admirer. Being so close to Osaka and Kyoto, it's a trinity of great locations for a multi-city vacation. Anytime. Although Autumn would be a great time for the maple leaves. Legacy. In terms of cultural insights, Kyoto is Japan's premiere spot. Kinkakuji (the Golden Pavilion) and Ginkakuji (the Silver Pavilion) are the usually the top priority for sightseeing. Nishiki Market offers over a 100 multi-generational restaurants for the culinary thrill seeker. Temples like Kiyomizudera, Tofukuji, and Daigoji can't be missed, especially in the autumn. Speaking of autumn, Kyoto, by far, is the best place for koyo and the changing of the leaves. Besides the three temples above, autumn views from Eikando Temple, Takao, and Sanzenin Temple are also recommended. Love torii gates? Fushimi Inari Shrine lines up thousands of the vermilion gates. In the outskirts, Ohara and Arashiyama continue the unique cultural vibe. If you need a nice long walk and chat among friends, the Philosopher's Path clears everything up. And if you're a sushi lover, then FYI, Kyoto is the birthplace of the modern iconic dish. Anytime is fine. But autumn. Oh god, autumn. I've never seen a more colorful (and crowded) place on Earth. Do you love Hayao Miyazaki? Yes? Everything in Yakushima feels like a Miyazaki film. For the nature & photo lover, it's the best photographic experience in the country because of the variety of sights and sounds and number of secret surprises. Even better it's a circular island connected by two-way buses circling the perimeter, meaning you can see almost everything without the need to rent a car or motorbike. The subtropical temperature guarantees a bit of rain but also warm weather, so there's never a bad time to visit, unless it's the vacation season for Japanese people. Shiratani Unsuikyo is a medieval forest with ancient Japanese cedar trees that tower like old gods. Vibrant green moss covers stones and trees as quiet streams of water weave in and out of the hiking trails. The hike around the forest takes no more than four-five hours and is an unworldly experience. Nagata Inakahama Beach provides those blue beaches, lush green mountains, and water activities such as snorkeling, scuba diving, and canoeing. And yes, there are sea turtles if you're there in the early summer. 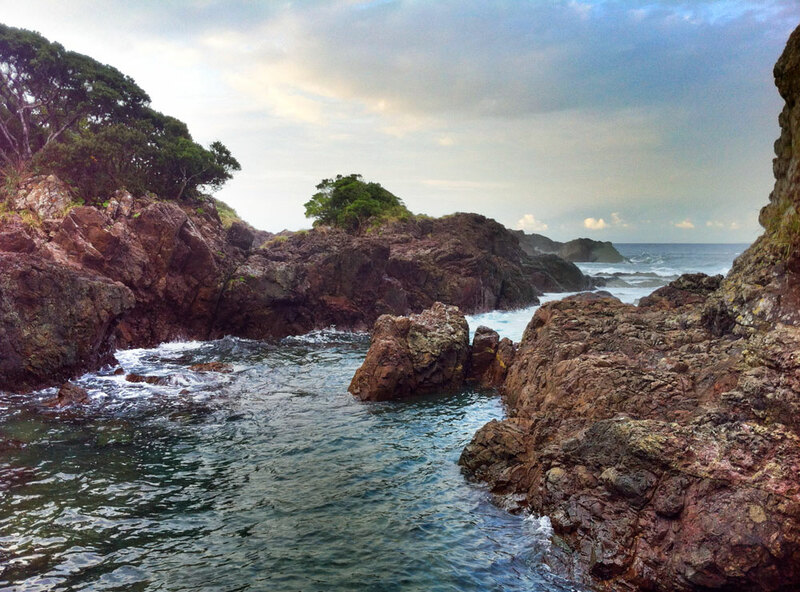 A little hike over the rocky terrain and you'll reach a more secluded part of the beach. 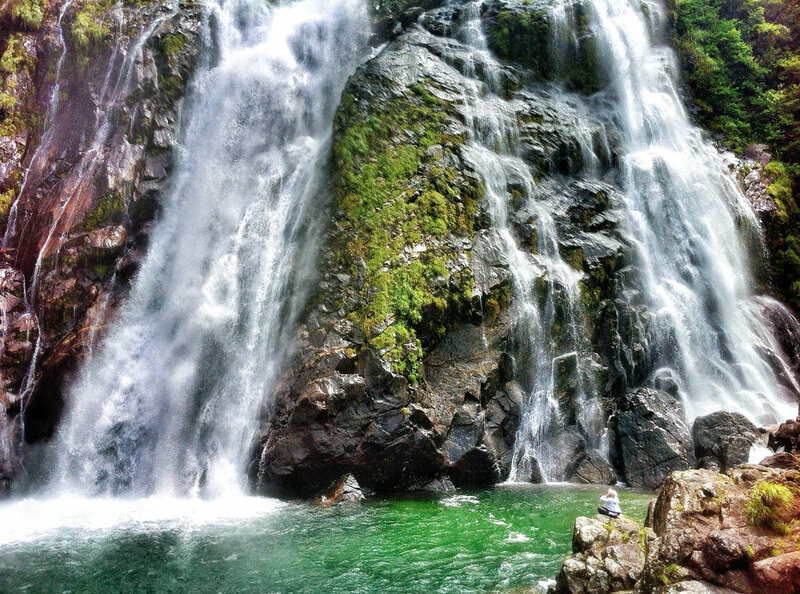 Okonotaki Falls is a wondrous wide waterfall during the summer that is very photogenic. Jomonsugi is a giant cedar tree and the main reason people hike 10 hours to see it. The Yakushima rocky coastline isn't heavily advertised in many articles and guides but is well worth exploring. Getting off a random bus stop and heading towards the edge may yield some pleasant finds. And the port towns of Anbo and Miyanoura look a bit sleepy but offer lots of local eats, especially seafood. If you're staying in Anbo, try "shio takoyaki," a unique sauceless spin on the popular snack food takoyaki. Tomioka Silk Mill, Hiraizumi, Iwami Ginzan Silver Mine, Gusuku Sites & Kingdom of Ryukyu, and Buddhist Monuments of the Horyu-ji Area. Sign up with your email address to receive stories about all things Japan. Only relevant news & updates.